These types of personal-injury lawsuits have become so commonplace it’s no longer surprising to read about them. However, I found myself reading the Orlando Sentinel in disbelief last week, as I struggled to comprehend the details of a lawsuit resulting from a toddler falling in a family’s backyard pool. To my amazement the lawsuit highlighted in the article was not filed by the family as a result of the child’s accident; instead it was filed against the family by one of the emergency responders. In the article, “Cop Who Fell on the Job Sues Family of Baby Who Almost Drowned,” the Sentinel details the lawsuit targeting the family, which the suit claims was negligent for not cleaning up a puddle of water left on the floor after the infant’s mother pulled his lifeless body from the pool. While the lawsuit has been dropped, the mere fact it was even filed makes it clear that victims like the Cosmillo family are just as vulnerable as businesses are to be targeted for personal-injury lawsuits. The lawsuit is outrageous at best in its attempt to place responsibility for the damages sustained by an on-duty officer who was responding to the scene of an accident. At worst, it exemplifies the exploitation of our civil justice system. The egregious nature of this lawsuit is worsened by the fact that the city of Casselberry’s workers’ compensation insurance covered the cost of the officer’s medical bills and paid her disability while she was on medical leave as a result of the knee injury she sustained when she slipped in water on the floor near the infant. Our legal system should ensure that responsible parties are held accountable when they cause damages or injuries. However, this exemplifies how our civil justice system in Florida, and nationwide for that matter, has developed a lucrative, cottage industry whereby some personal-injury attorneys have chipped away at the legal definitions and utilized precarious case law to define what constitutes negligence and file these types of outrageous lawsuits. It would have been one thing if this had been a leaky faucet the family was aware of that had been leaving puddles on the floor of the home for months and they invited a group of individuals over for a barbeque where someone slipped and hurt himself. But the puddle and injury were the result of a catastrophic response to an emergency situation by all parties, not negligence by any. 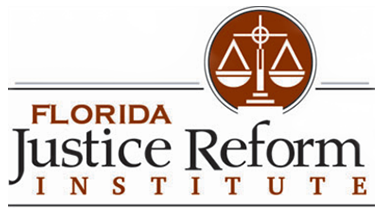 William Large is president of the Florida Justice Reform Institute (www.fljustice.org).